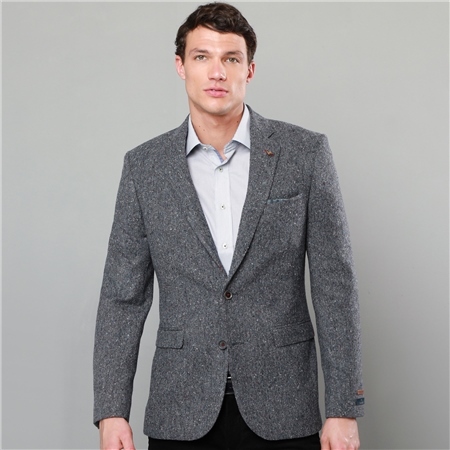 A tailored fit grey salt and pepper Donegal Tweed blazer featuring distinctive colourful flecks throughout the fabric. The cloth is designed and woven in our mill in Donegal, Ireland. Style with a crisp white shirt and navy chinos. Fit is true to scale - 74.5cm Centre back length on size 40R. Is there any chance that this piece will be restocked in 42L?